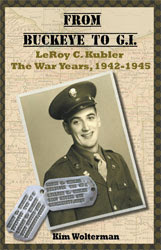 In the first 11 weeks of this year I have written about what I know of the Wolterman and Determan families. Next I will cover Frank Conrad Wolterman’s mother and her family. Catherine Woerdehoff, my husband’s paternal great-grandmother, was born 8 June 1862 in the area that was later to be called Petersburg, Delaware County, Iowa. She was the 9th of 10 children born to Johannes Conradus and Catharina Margaretha (Wübbeke) Determan. The farm where the family lived was located in Bremen Township. It is always interesting to me to see the German roots of the early settlers reflected in the naming of geographic areas. 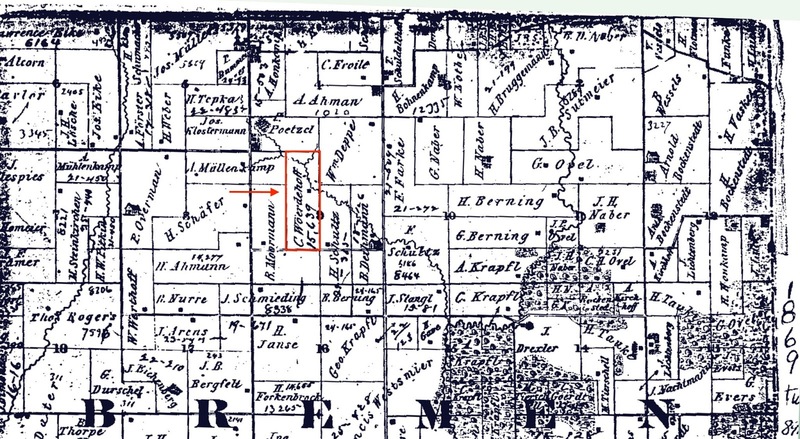 In 1864, Bremen Township had 95 dwellings with a total population of nearly 550 people. The Woerdehoff land is indicated by the red outline and arrow on the map below. As the post office was not established until 7 March 1874, Petersburg did not technically exist when Catherine was born. Saints Peter and Paul Catholic Church and school were also completed in 1874, and by 1877 there were 50 pupils and just one teacher! Prior to 1874, the settlers attended religious services at Louvain and then at Dyersville. Catherine (also called Katie) was just 7 years old when her father died in 1870. Her family continued to live on the farm, however. 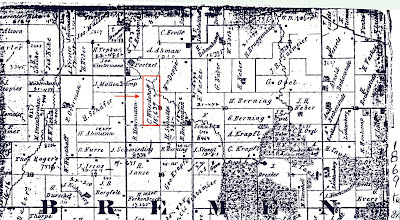 The 1880 census indicates that she was still residing in Bremen Township, Delaware County. Sometime shortly after that, she left Petersburg to join one of her siblings in western Iowa. 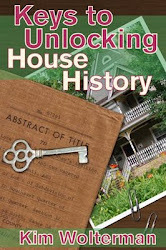 Her brother Aloysious and sister Mary both lived in Carroll County Iowa by 1880. 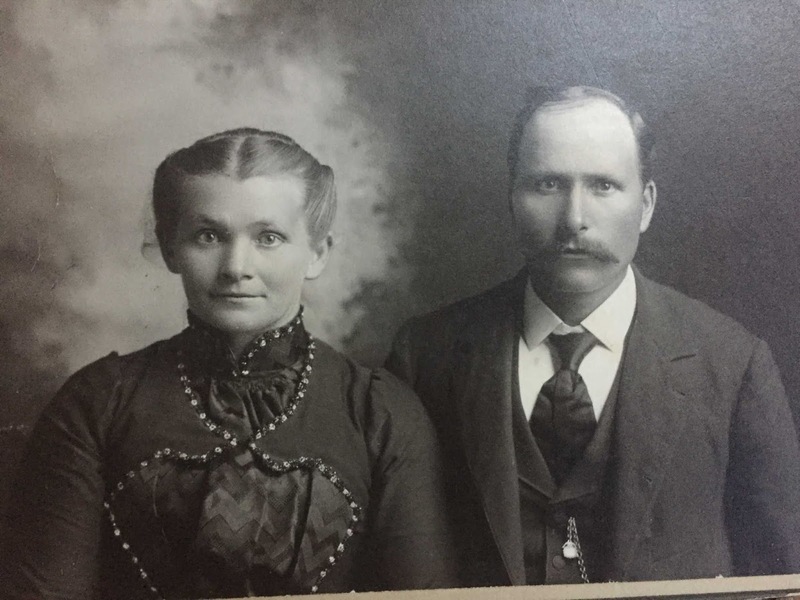 On 6 February 1883 at the age of 20 Catherine married Gerhard (George) Wolterman in Breda, Carroll County, Iowa. Together they raised 13 children on their farm. George and Catherine’s story was covered in Week 2, which can be found here. Catherine died in Breda of cardiovascular disease on 15 August 1935. She was 73 years old, and was buried alongside George (who had died in 1921) at Saint Bernards Cemetery in Breda.